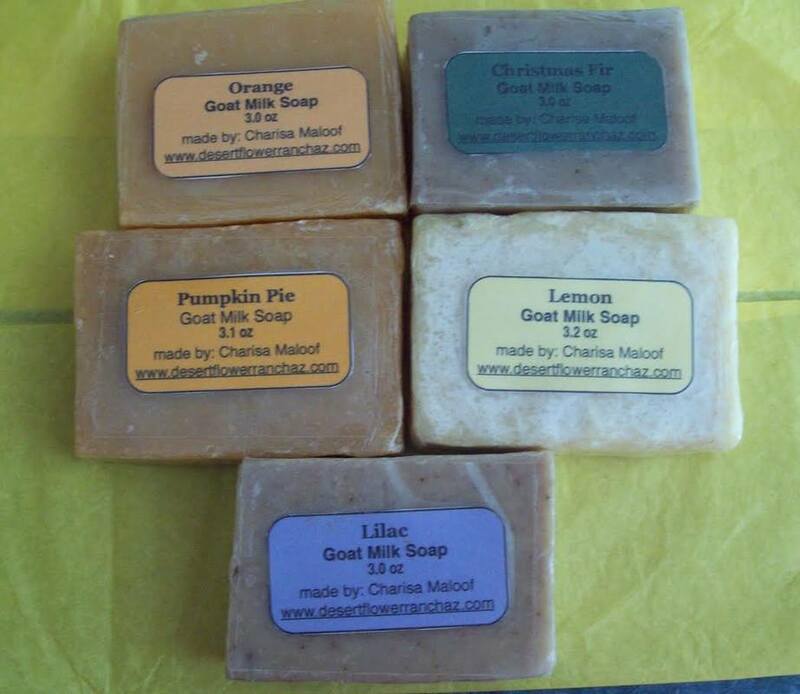 Since 2013 I have been making Goat Milk Soap from our fresh goat milk. Ingredients: Organic Coconut Oil, Desert Flower Ranch Goat Milk, Organic Olive Oil, Lye, Castor Oil, Fragrance Essential Oil, and Natural Coloring. Scents: Lilac, Peppermint, Lemon, Almond, English Rose, Orange, Lavender, Cinnamon Oatmeal, Chocolate Ice Cream, Energy (a mix of berries and citrus), Vanilla, Shea Butter, Lime, Grapefruit and Unscented! Thanksgiving scents (AVAILABLE IN SEPTEMBER through DECEMBER): Pumpkin Pie, Macaroon and Eucalyptus. Christmas scents (AVAILABLE IN OCTOBER through JANUARY): Christmas (Fir), Christmas (Fruit), Eggnog, Candy Cane and Macaroon. Contact Me if interested or if you have any questions or for more pictures. Price: $3.00 per 3 oz bar. I thought soap is soap until I tried this and left the rich soothing lather on my skin. And no sense of dry skin afterwards that was refreshing. 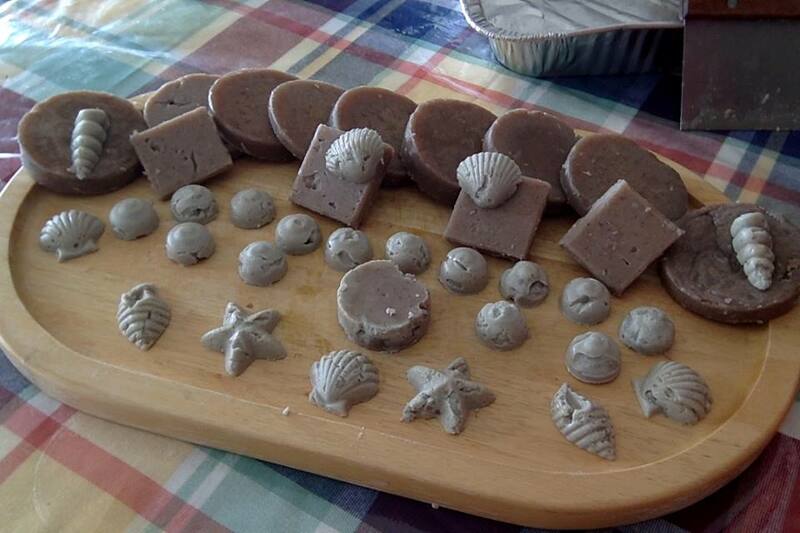 I received the wonderful soaps! Thanks you for beautifully making and packing them! You are very professional and are doing an outstanding job! Thank you! Best soap I’ve ever used! The smell is amazing! It makes my skin so soft! I would totally recommend this item! What I like most about this soap is the natural, healthy ingredients. I also like how soft it is. And it smells so good – sometimes I wish I could eat it! I love the soap! 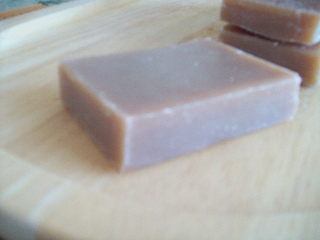 It is gentle on the skin, smells wonderful and lathers up nicely. I just bought 6 more bars.